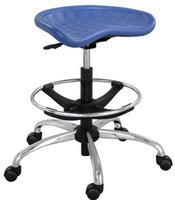 Click the button below to add the Safco SitStar Tractor Seat Stool  to your wish list. The unusual SitStar tractor seat stool from Safco is certain to attract some attention in the workplace, medical office or classroom lab. 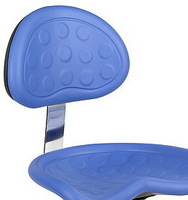 The PVC-coated, gel molded seat is designed for long-lasting comfort and durability. It has many top-grade features, and we ship it free. It may remind you of life on the farm, but this attractive and rugged stool offers comfort and flexibility in office settings and for industrial and lab work. Stool holds up to 250 lb.